The Selenium mineral is one of the family of trace minerals and as such, the body only needs a small amount. Nevertheless, the Selenium mineral is an essential mineral which the body requires on a daily basis. One of the most important characteristics of selenium is that it acts as an antioxidant, protecting the cells inside the body from the damaging and potentially dangerous effects of free radicals. Over time, damaged cells can lead to the development of many illnesses and diseases including heart disease and cancer. Selenium also plays a key role in keeping cell membranes healthy. That's very important since the cell membranes are responsible for the passage of vital nutrients into and out of all cells. The pancreas could not function properly without selenium, nor could the thyroid gland. Another of the benefits of selenium is that it helps keep dandruff from becoming a problem. If a person already has dandruff, selenium may help it go away. One interesting link that is being studied is the possible correlation between low selenium levels and people who have developed HIV/AIDS. 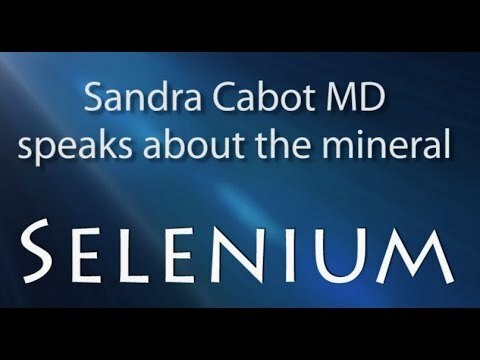 It is still unclear whether lower levels of selenium lead to the development of this disease or whether low selenium levels are caused by one side effect of HIV/AIDS which is that this condition inhibits the body's ability to properly absorb nutrients. Red meat, chicken, turkey, liver, fish, shellfish, dark green leafy vegetables, whole grains, eggs, onions, Brazil nuts, walnuts, brewer's yeast, wheat germ, pasta, noodles, rice, cottage cheese, cheddar cheese and garlic are all good selenium sources. Again, the body does not require a considerable intake of Selenium, and consuming a nutritionally balanced diet should provide all that is necessary. The RDAs for selenium are as follows: 55 mcg/day for adult men and women, 60 mcg/day for pregnant women and 70 mcg/day for those who are breastfeeding. It is important to note that too much selenium can be a problem. In the short-term, excess consumption of selenium may cause nausea, vomiting and diarrhea. Continued over longer periods, a condition called selenosis can develop and its symptoms include brittle finger and toenails, loss of hair and neurological problems including numbness and tingling in the extremities. Selenium deficiency is very rare, especially for people who are adequately nourished. There are some individuals who have gastrointestinal problems that cause malabsorption of this mineral, but that too is rare. Equally rare but nonetheless one possible cause for selenium deficiency is the consumption of foods that have been grown in selenium deficient soils. This does happen in some parts of the world, but does not seem to be a problem in developed countries. Some of the symptoms of a selenium deficiency include cardiovascular disease, nerve degeneration, hypothyroidism, arthritis, anemia and a dry, scaly scalp. A selenium deficiency may even increase the chances of developing some forms of cancer.